Thought there are over a dozen Birla Mandir in India, but the one in Pilani is unique in many ways. The first, its the only Birla Mandir where the mein deity is devi Saraswati, the godess of knowledge and Music. Secondly, this temple is located in Pilani, which is a small town in Jhunjhanun district of Rajasthan with the world wide foot print in education. It seems devi Saraswati's blessings helped this place reach such heights in the field of education and research. Located just outside the city, this temple is so serene and calm that one can foget himself and become one with the glory of godess Saraswati. 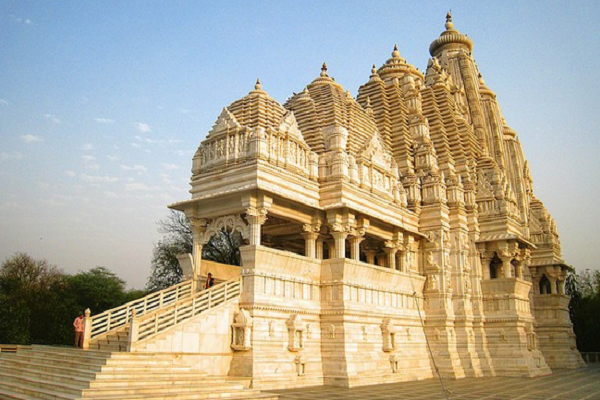 Large white marbled temple is picture perfect in all aspects. Almost every visitor reported a feeling of deep meditation and spiritual enlightenment after visiting this temple. That might have helped students in concentrating more in their studies and create benchmarks for others to follow. The main temple is above the ground with long walk way heading to it from the entrance. The signature architecture of Birla Mandirs can also be seen here in the form of lush green lawns in both sides of the walk way. 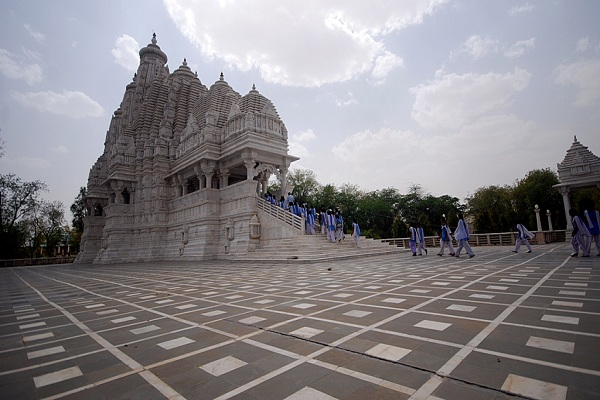 The pravesh dwar of garbh griha is made of white marble and is giant in size. The garbh griha has carvings of Hindu gods and are designed with precision and great detail. In side the garbh griha, the deity of goddess Saraswati is there in standing posture. The walls and pillars of the hall have lovely art work on them and are covered by a giant dome. Darhan Timings: The darshan opens for visitors & local students at 6am and closes at 9pm. 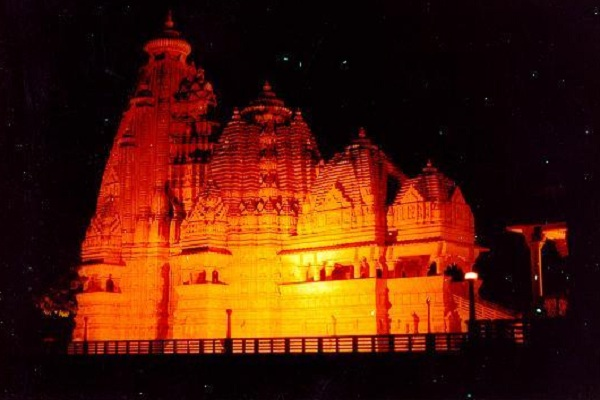 The temple is in Pilani town of Jhunjhanun district in Rajasthan. Bus service is easily available from Sindhi camp Jaipur and other parts of Rajasthan. It takes 5 hours to reach Pilani from Jaipur.